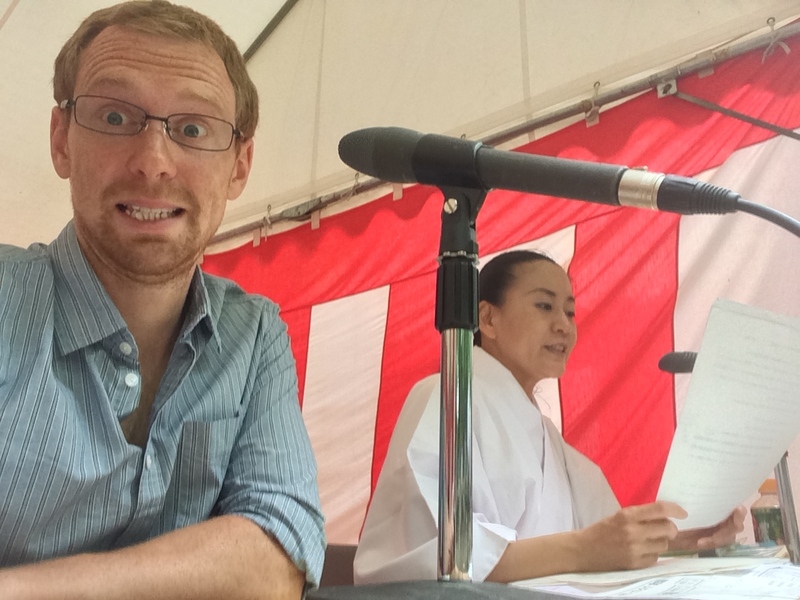 A perk of being unemployed is having the ability to say ‘I’ll do it!’ when someone says ‘Is anyone available on Thursday lunchtime to go to Kyoto and say things in English into a microphone?’ I was told to dress kind of smart so I wore my only non-denim trousers and a shirt that has no creases because I’ve never worn it before and hopped on the train, then the bus, to Shimogamo Shrine in Kyoto. At two minutes to 11 I hopped off the bus and legged that last 500 metres to the shrine and moved seamlessly onto the perfectly raked gravel and into a sliding sorry-I’m-late-nice-to-meet-you bow. I then lost all composure and thrust out my sweaty hand for a good old foreigners’ handshake. 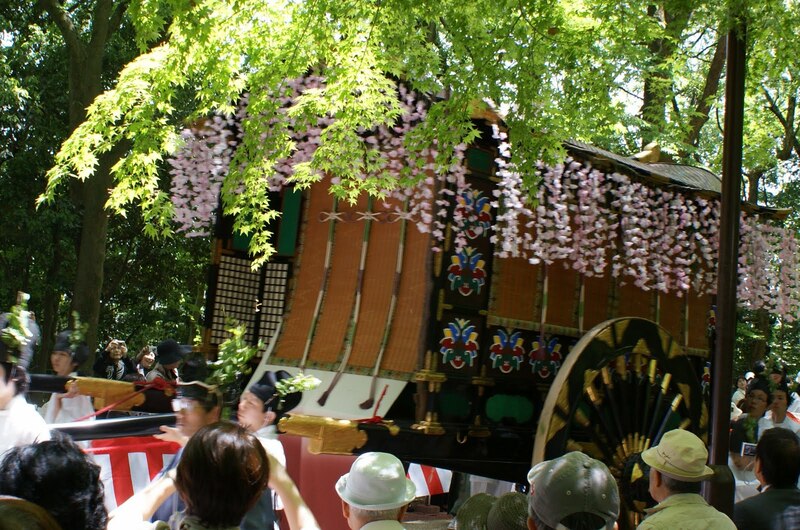 Aoi Matsuri, also known as Hollyhock Festival, begins with a parade of over 500 people, 50 horses and a couple of oxen. 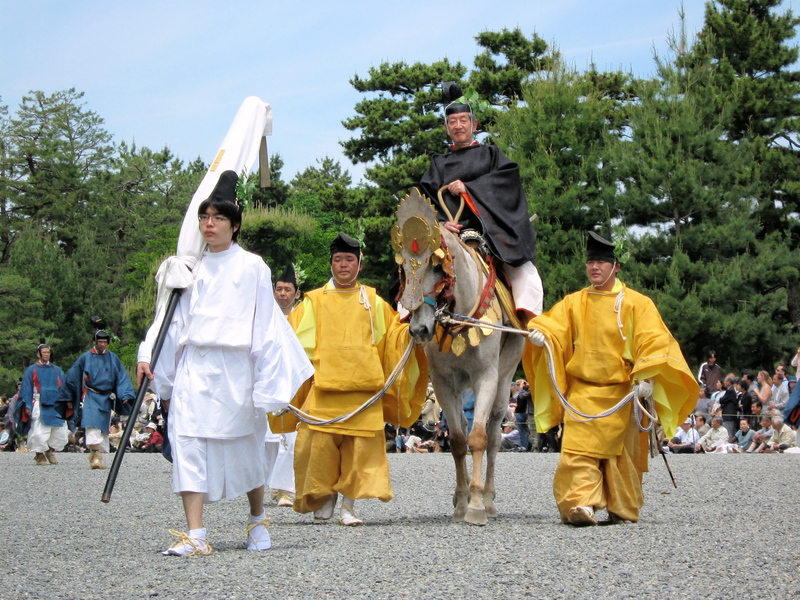 The procession walks the streets of northern Kyoto from the Imperial Palace, along Kawaramachi to Shimogamo Shrine where it halts for a presentation before continuing north to Kamigamo Shrine. The procession is a rich exposition of Kyoto’s opulence and historic significance and attracts thousands of spectators. The highlight of the festival, though, is Soumenogi or, for want of a better translation, horse running. I had been employed for the day to, essentially, remind people to turn off their camera flashes when taking pictures of the horses as they sprinted (carrying a sword wielding priest) down the 400 metre track in the shrine grounds. As taxing as my role was I took advantage of my prime location to shoot this bloody awesome video. Spending lots of money on an iPhone 5s was justified immediately.